Your dog doesn't have to be overweight or elderly to benefit from joint supplements. Arthritis and related joint disorders can affect a wide variety of animals, with several smaller breeds being genetically predisposed to developing these conditions. If you have a large, short-legged, or short-snout breed dog that leads an active lifestyle, or a dog that is older than seven years of age, then your pet can benefit greatly from specialized joint care. There are many joint supplements on the market and with the wide variety available, selecting the solution that's right for your pet can be a trying experience. 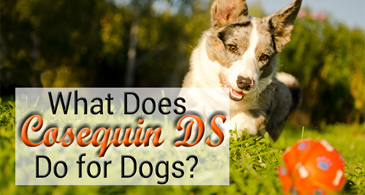 One of the top-performing supplements on the market today is Cosequin DS from Nutramax. This incredible supplement uses both glucosamine and chondroitin to facilitate the production and repair of the cartilage that composes your pet’s joints. Though this double strength supplement includes high concentrations of scientifically proven ingredients, there is nothing like the peace of mind offered by a first-hand account of a product’s performance. 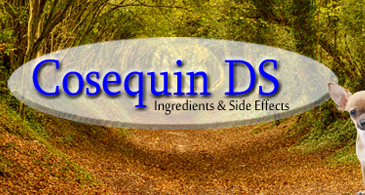 To show you exactly how well Cosequin DS works- we invite you to read these reviews from real customers. 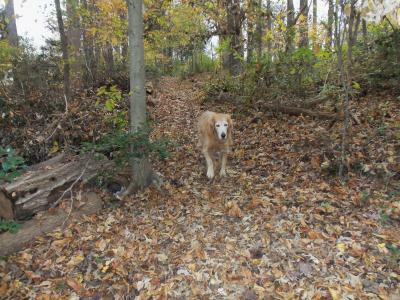 Paddy and his Golden Retriever, Max, have one of the most heartwarming tales of Cosequin’s success that I’ve ever read. Learn how the supplement turned a dire situation into something wonderful. Max’s recovery shows Cosequin’s incredible potential to heal. But it’s just as important that a supplement performs without causing additional complications. To show what I mean, let’s see how the pristine formula of Cosequin DS provided a very special solution to Pookie's problems. Cosequin DS helped Pookie recuperate in spite of peripheral problems; but sometimes joint troubles are just the symptom of a more grievous condition. Even in these cases, Cosequin's unique formula stands above the rest. We hope this third astonishing story cements your confidence in this ineffable product. 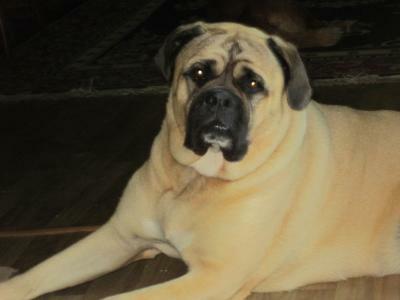 “ Kandy, our Bullmastiff contracted Lyme disease 2 summers ago. After a month on antibiotic pills she was left with crippling arthritis-like symptoms in her legs and a look of pain in her eyes. She could barely stand and walk. I started her on the loading dosage of Cosequin DS Tablets, which she ate willingly from my hand. Within 10 minutes I saw a difference; her look of pain was gone.